As we stated in Part One, maybe you have been using the same rifle for years, maybe you have a youngster who is ready for a first hunt. Maybe you have a significant other who is going to join the hunting tradition this year. 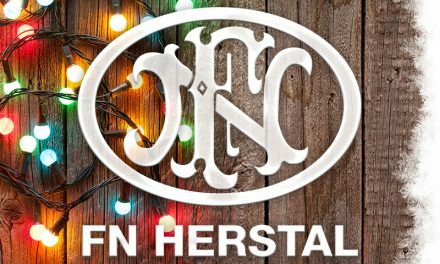 Whatever the reason, you need a new Deer Rifle. Liberty Tree is here to help. In part one we discussed caliber,now let us discuss Rifles for Deer Hunting, Do you need a youth sized stock? Do you want a bolt gun, a single shot, a semi auto, or a lever gun. Is the shooter recoil sensitive, and what is your budget? If you want a bolt action rifle, in a youth or compact length of pull (for shooters approximately 5’- 5’4” tall) , your cartridge selection is going to generally be .243, 7mm-08, and .308. In the budget rifle category good choices are the Mossberg Patriot Youth Bantam and Super Bantam, the Thompson/Center Venture Compact, and Weatherby Vanguard. All are going to have basic features and composite stocks. Prices range from $400 to $700 MSRP. Obviously street pricing and used pricing will be different. The Mossberg has the shortest length of pull, and the Weatherby is at the high end of price. All of these rifles are light which on the one hand is good because smaller shooters are not as strong, on the other hand the lighter the rifle the more perceived recoil and smaller shooters are not as strong. All three come with spacers for the stock to increase length of pull allowing the gun to grow with the shooter or adjust as needed. Full disclosure, we are partial to the Mossberg. Savage offers the Savage AXIS Compact which does not have their (fantastic) accutrigger but is 6.2 lbs, has a 20” barrel, comes in a composite stock with even some camo options, is available left handed, and offered in .243 and 7mm-08. The Savage is priced slightly less than the above models. For a little more money than the AXIS you can get a (nice) Savage 11 International Hunter Youth with a detachable magazine and an accutrigger, still with a synthetic stock. 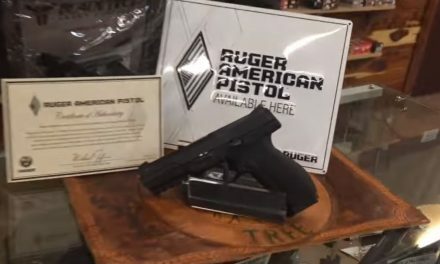 Ruger has the Ruger American Compact which is similar to the previously mentioned 4 in the same price range but comes with a 18.5 barrel and weighs even less (which may not be a plus). Alas, the Ruger does not come with adjustable spacers, but is available in a lefty model. Ruger is always a good choice in firearms. Remington’s model 7 compact is not as light, or as short, and comes in at $730 MSRP ; $544 in synthetic but can be had in .243, 7mm-08, and .308 as well. Browning has the X Bolt Midas which is a youth sized gun available in a slightly wider selection of calibers, a very attractive gun; and priced accordingly. If budget is not of primary concern, and you want a truly nice gun, Ruger has the Hawkeye Compact, in your choice of the usual suspect calibers, which is just a hair over 6 lbs, comes in Walnut with a 16.5 barrel. This barrel length was sacrilege several years ago, but there is a lot of evidence that barrel length is not quite as important as we once thought, and the tradeoff is increased portability. Again the MSRP on these rifles is a bit steep for the average Joe to spend at Christmas for little Billy or Sally’s first deer rifle, but they would be a great rifle for anyone who is accustomed to shooting and is just not that big. There is always the option of a Winchester Model 70 featherweight compact in, you guessed it, .243, 7mm-08, or .308. 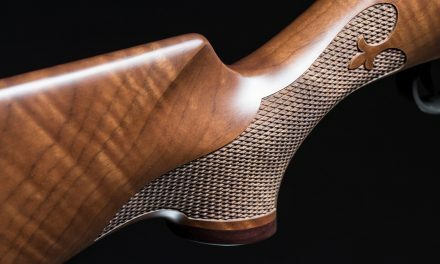 Some would argue that the Model 70 of today is not the Model 70 of world fame, but it is still a very nice looking rifle. They cost more than most folks want to spend on a youth’s first time gun, but perhaps if you have (or are) a small statured significant other who would like a really nice gun, they are an option. If you are willing to shop the used racks The Remington’s model 7 has been in production for 34 years so finding a used one with a wooden stock is not difficult. Likewise the other guns discussed are not new to the market, so good deals abound. If you are not looking for compact or youth rifles the same choices still pretty much apply, only there is usually a wider caliber selection and generally more options available to you. In addition to those mentioned above are offerings from Browning, and Marlin. Personal preference is to the Ruger Hawkeye, Savage 110/111’s, Remington 700, CZ-USA and even the Mossberg Patriot. 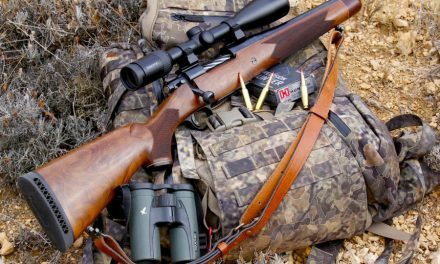 Single Shot Rifles – There is an argument for stalking game with a fine single shot rifle. There is a certain romance and nostalgia to it. However, singles in hunting calibers are hard to recommend to someone buying a rifle for their youngster, those new to hunting, or for those who are smaller framed. The reasons are primarily weight, and secondarily price. There are inexpensive singles out there, but most are not all that desirable, and the youth will quickly out grow them. The smaller framed individual, no matter the age will not appreciate the added recoil. If safety is the concern, it is usually a simple matter to only load rounds one-at-a-time into bolt action rifles. If it is a fine single shot you are looking for then the best choice would be a Ruger #1, followed by a Henry Single Shot. Thompson/Center also makes good singles, but they are more utilitarian than the Ruger. Semi-autos. These are going to primarily be on the AR style platform, with most of them being on the larger and much more expensive AR-10 platform. If that is your jam, then you can get a 7mm-08, 6.5 creedmoor, or a .308 easily. Exceptions would include the .300 blackout which comes in an AR-15, and the 7.62 x 39 which can be had in an SKS. There are other Semi-auto rifles out there like a remington 7400 and Browning BAR,but they are going to be heavier, and more expensive, and if they are not going to be youth or compact sized, if that is important. Lever Action – By and large we are talking .30-30, of which there are two great choices in the Marlin 336 and the Winchester 1894 and Also the Marlin 464 which is similar to the Winchester. The Marlin is easier to scope due to its’ ejection method. Both are great guns, both are compact enough for youth. Both are available new and used. Henry Repeating Arms is making very nice lever actions in .243, .30-30, and .308. Not mentioned in the caliber discussion above, but if it is your desire you can always opt for the good ol’ .45-70 in your lever gun. Henry makes one, as do Marlin, and Winchester. A .45-70 will certainly get the job done, but it is not for the faint of heart or weak of shoulder. They do have the added benefit of being good close quarters medicine for anything you are likely to encounter.